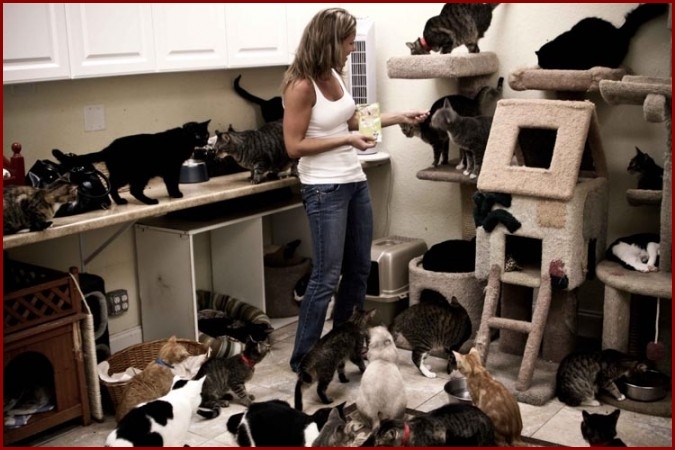 Allergic to a World Full of Cats? Warning: This post contains many photos of cats. I appreciate that you see similarity between my chemical sensitivities and yours, in that you’re allergic to cats and an exposure to one can leave you feeling ill for weeks, and likewise more susceptible to future exposures. In that regard, our problems aren’t so different. Now imagine a world in which not only did some people have cats at their house that make you ill, but then while trying to go home to recover from a cat exposure you hopped onto public transit and nearly everyone had a cat around their neck. Then you go to work (again surrounded by cat-wearing transit users) and find they’ve just cleaned your office and hallways with a cat hair solution. you look up and see that they’re blowing cat dander out of the air fresheners on the wall! You go swing dancing in an attempt to enjoy some of your life but you have to leave soon after arriving because a large number of people have applied cat hair to their clothes and body products, and by the time you’ve arrived it’s all over the room, floating in the air to be inhaled by all. You try the movie theater, the restaurant, even the shopping mall and the same problem hits you there. and on your walk home you get at least one face-full of cat fur blowing out of someone’s dryer vent. How sick are you now? 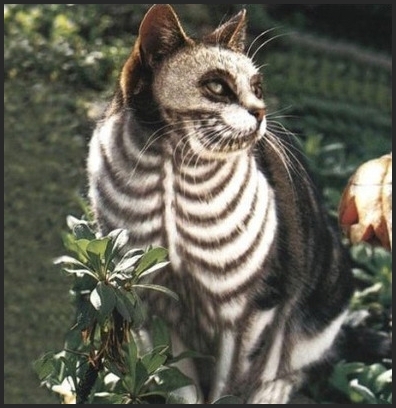 you might suddenly start thinking that the unnecessary public use of cat products should be restricted. 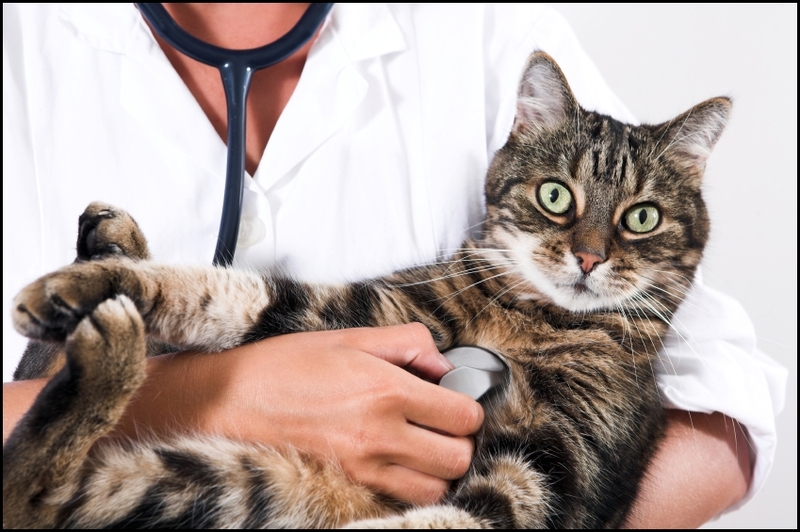 And let’s not forget: there will be cat hair, cat dander oil and cat-scented cleaning products used in the doctor’s office where you will be seeking help for you cat-related allergies! That’s not all! 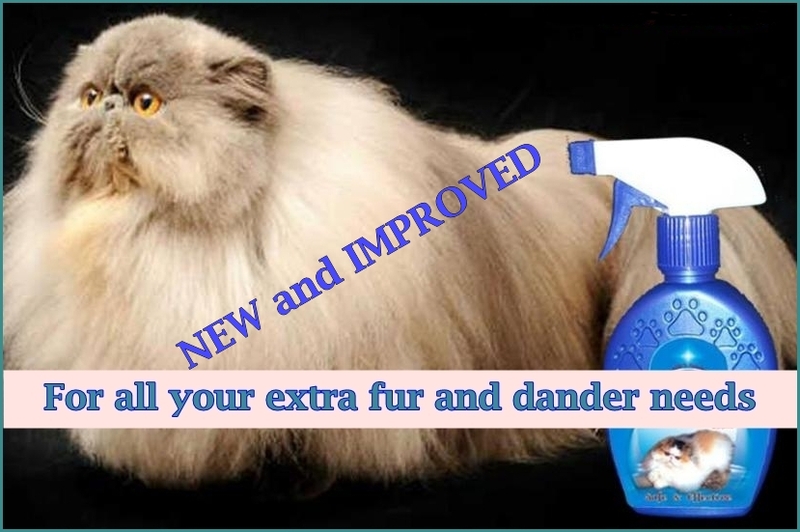 Since so many people love cats, and real cats are expensive to keep and require time to look after, an industry developed to make cheap and easy synthetic cat residues that can be and have been added to almost everything! New research is telling us that these all pervasive synthetic cat residues are causing health problems in almost everyone, including those still in the womb! 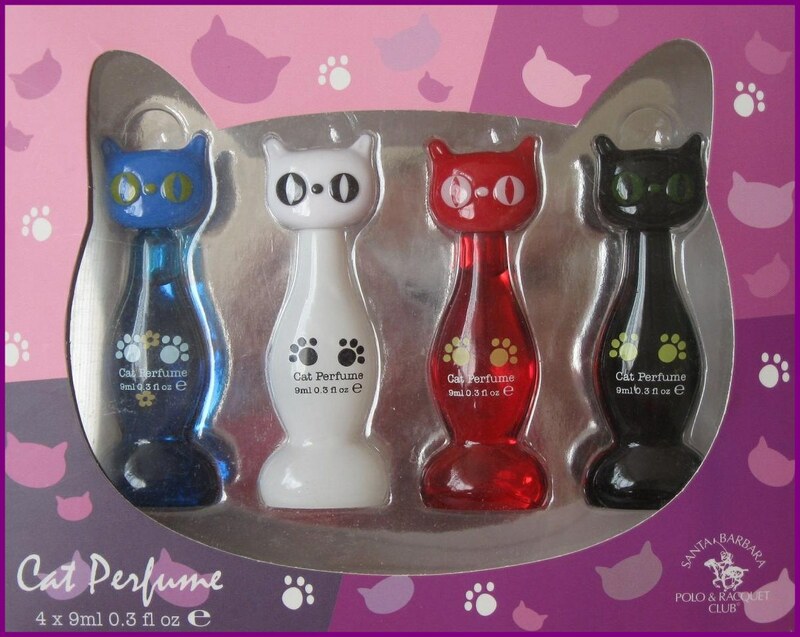 But the synthetic cat residue industry has been lobbying the government regulators on a daily basis for the past 5 years to ensure that no air or product shall be free of their synthetic cat residues and that efforts to regulate them are stonewalled! 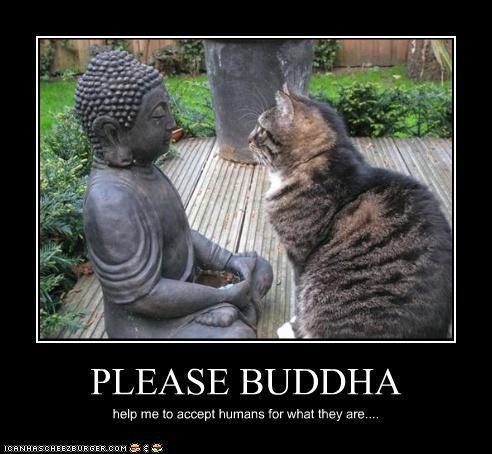 May we accept what we cannot change, and change what we cannot accept. There was more discussion, with some still insisting that MCS is solely the problem of the person who has it, and not something that the rest of the world should be blamed or changed for. They seemingly did not want to believe that there were significant amounts of toxic chemicals in everyday personal care and laundry products, air “fresheners”, and more, including chemicals that are linked to sperm damage, autism, cancer, diabetes, obesity and more. Why would obgy’s be advising pregnant women to avoid the exposures that cause harm to people who have MCS, why would the UN and WHO say endocrine disrupting chemicals are a ‘global threat’, why would scientists around the world be saying that “toxic pollution – environmental contaminants in the air, water and land are at record levels and increasing, seriously harming people and wildlife in unforeseen ways” and calling for immediate action if all these products and chemicals were safe? Those arguing that MCS was a personal problem also didn’t care that it is a recognized disability that must be accommodated in Ontario, Canada and elsewhere, and that fragrance chemicals are almost impossible to avoid these days, making access to basic needs in everyday life a real challenge to meet for over 850,000 people in Canada alone! This all goes to show that decades of individual and voluntary efforts are not enough to make the world a chemically safer place for ALL beings, and that we need more action to right the systemic wrongs that currently provide more protection to polluters than to those who are harmed by pollution (and ultimately that is all of us). Also look up neurotoxins and endocrine disruption. Both can cause lasting harm at miniscule doses. New report: “Recognition Inclusion and Equity -­‐the Time is Now: Perspectives of Ontarians Living With ES/MCS, ME/CFS and FM. Photos taken by, and /or found and / or altered by Linda. Most photos I find online are either available to freely use without credit, or found widely shared with no credit to original source. I avoid using other people’s obvious personal creations without asking for permission, unless they have been so widely shared it’s impossible to discover where they originated, and I do credit the original source whenever I can find it. It’s more difficult now as the free source I used to use has changed and it’s no longer clear. Hopefully my judgement regarding what is ok to use (and or alter) and what isn’t, is good enough and people enjoy the results. If not, please let me know. I had fun putting them together for this post. 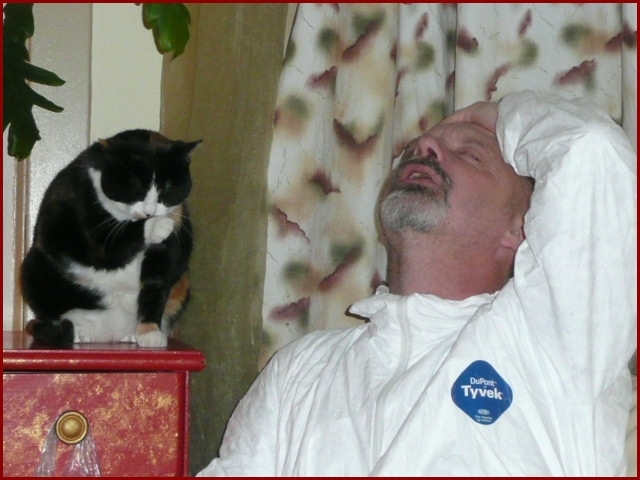 This entry was posted in Accessibility, Environmental Health, Fragrance, Health, Human Rights and tagged allergies, cat allergy, cats, IAQ, MCS, toxic chemicals. Bookmark the permalink. a BBC radio programm on MCS made by a woman made ill by disinfectants used during the foot and mouth outbreak of 2001. She went to Arizona to recover, and interviews a Dr Gianni (?) of the Arizona Centre for Integrative Medicine, Prof Claudia Miller of U of Texas, and some people at a community near Snowflake Arizona. You no doubt know of these, but in case of interest, here’s a link (it starts 2 min 15 seconds in). (The later part is less interesting). Also Scientific American did an article about chemicals causing over 30% of all US illnesses, esp diabetes, with the head of two government agencies. It is from a year and a half ago so you may know it. It;s just becoming mainstream. On the radio garden show they said in fall that if you get sick in fall, it probably is that your winterized home has you reacting to indoor chemicals!!!! And I live in a blue collar and farm town, 1.4th of the people I meet have MCS although they often don’t know the name. car mechanics particular. Their kids have full on MCS and food allergies. There are so many KIDS with MCS here, they cannot have friends, it’s very sad. This is an excellent analogy!!! It’s well-written, and I love the photos/graphics!!! My favorite is the dryer vent with cats coming out. Now if we could just get people to understand that a product deemed “relatively safe” means basically…nothing. Or maybe it means that it’s “safer” than cyanide. That’s like saying it’s “safer” to be shot in the stomach than in the head. Thank you so much for sharing this to help others understand!!! You are so right about the safer issue! So often our only choice seems to be between bad and worse… and that is NOT good enough. 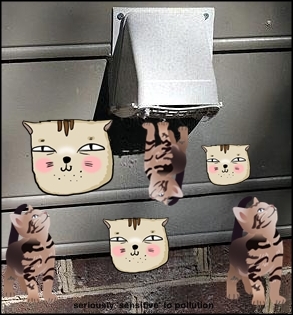 And thanks for the comment about the dryer vent pic, I was really happy that my free photo program (photoscape) had some cats to use! 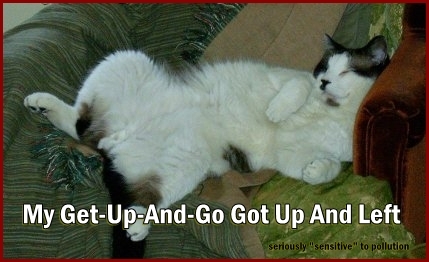 I don’t know how to import pics from elsewhere to insert into other photos, I can only add text and boxes. They have a really limited choice of graphics to insert. If anyone can teach me how to import and insert, I’d be very grateful, and could have more fun making silly photos! Most of the credit for this post needs to go to Kristine, as she wrote the part that inspired it all. Thanks also to Kristine. :) Does she have a blog? If I remember correctly, Kristine was putting something together, but it had nothing to do with MCS. I’ll see if I can find out for you. Excellent analogy. I will be sending a link to this in an email to some of my MCS buddies. Very good analogy. 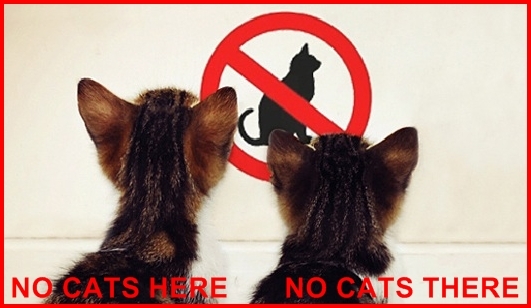 There are literally hundreds if not thousands of places people with cat allergies can go and never come into contact with their allergens. I think it is important not to downplay their physical reactions because asthma is very serious and fragrances can play a role in asthma attacks too. However, even though MCS and cat allergies have a few similar reactions, the downtime between attacks and exposures does NOT even COMPARE to the amount of exposures people with MCS have to combat every day of their lives. This is why we are so isolated. I have never heard of someone allergic to cats that had to be house-bound, have trouble getting a job, maintaining some semblance of a social life, etc. This is your best blog yet! Thanks go out to Kristine for a great analogy. Kristine’s writing has really resonated with so many people! A little bit of humour can go a long way. Super analogy! 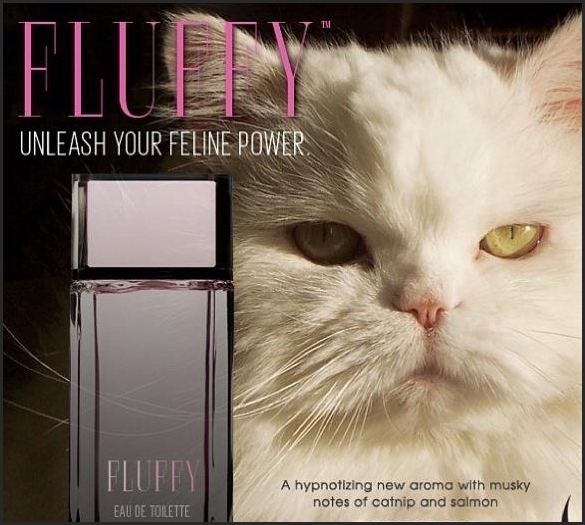 I’m sure that in this world, the cat-allergic would be told they just haven’t tried hard enough to not be allergic, and/or should increase exposure to get used to it (argh). This analogy can also apply equally as effectivenly to those of us suffering from Electromagnetic Intolerance. Some of us can’t tolerate wireless stuff. It makes us ill. Unfortunately it is more prevelant than even perfumes or chemicals. People can’t even barrier their own homes. Please support assistance and acceptance for those of us suffering from this also. It is becoming common for MCS peoplke to develop EMI. Please inform eveyone about this. Veronica, thanks for commenting. I have written several times about wireless issues and EHS (electromagnetic-hyper-sensitivity), which is also included in ES (environmental sensitivities). I have to avoid exposure to wireless devices myself. I absolutely do agree that wireless signals are virtually everywhere these days, and that these can be completely debilitating too, but it is possible to create some shielding to make it easier to survive (if one has the financial resources of course). By and large, people with EHS and radiation sickness can still usually find safe food, clothing and toilet paper that doesn’t further exacerbate their symptoms and disability. I do have to disagree with the prevalence statement to some extent though, as virtually everything these days has 2nd and 3rd hand fragrance contamination, in addition to other toxic chemicals. It is almost impossible to find food, clothing, toilet paper, or anything that hasn’t absorbed fragrance chemicals from indoor environments, or isn’t made with toxic chemicals. Since we must eat and be clothed, as well as wipe ourselves with something after using the toilet, for someone with more severe MCS it can be really difficult to find anything safe to eat or use when the fragrance chemical contamination can cause all kinds of additional symptoms. MCS can impact every single little thing we usually take for granted and don’t give a 2nd thought to. This isn’t to compete with or trivialize EHS at all, just to say that in addition to the background effects, there can be additional challenges with absolutely everything (been there, done that, still doing it to a slightly lesser extent than I was for several years, but still living without so many basic essentials people take for granted because I don’t have access to affordable, safe options). There is a lot of overlap with MCS and EHS. And more people are developing both conditions because the early warnings have been ignored as the oil, gas, petrochemical, pharmaceutical, and telecommunications industries have become greedier and greedier. A lot of children are suffering too. Fragrance and other chemicals are being linked to the rise in autism (which in some cases might actually BE MCS and or EHS) as is the proliferation of wireless technology. We, as a society, have to start taking the warning signs a LOT more seriously, and soon. Climate weirding is starting to create a lot more challenges, and people are going to need their brains working as designed in order to be functional enough to cope with these challenges. If we continue to pollute with both fossil fuels and their derivatives and microwave radiation at current levels, the future will be very difficult for all those who survive. And yes, that is depressing. However, I do believe that people are waking up! Too many people are being affected and abandoned. This can open people’s hearts to the benefits of community and caring… And also getting pissed off enough to act for the welfare of others! Greed made industry blind to what happens when you piss too many people off who care about what happens to each other and the little planet we all share and depend on for life! I believe we have the power to make this planet a better place for all of us. Cat allergy vs. MCS. As always Linda Sepp and her friends nail it. And I must say, You do not have to have MCS to have to endure this, the only thing You need is asthma. Read it and get some understanding for the problem. Thank you Linda for an excellent post. Overall approximate 20-25 % of a country’s population have asthma, some countries more than others. 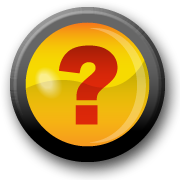 WHO states that 30 million people in Europe have asthma, and WHO numbers from 2011 say 300 millions have asthma world wide. Most people having asthma have more or less a problem with fragrance and other chemicals. Linda, thanks for blogging on this issue. Those folks who consistently defend their right to coat themselves in as many chemicals as the people at Axe can figure out how to put in one bottle are suffering from a distinct lack of Emotional Intelligence. They lack the basic empathy required to “walk a mile in someone else’s shoes.” Hopefully efforts to get through to them, such as the very clever analogy used in this blog, will help them understand. Unfortunately, this problem is one that feels impossible to my family. The chemical manufacturers have the resources to continue their work and can influence governments to allow them to keep on spewing the chemicals into the air. Every laundry load of Gain represents another injection of toxin that may realistically never leave the environment. In short, it is difficult to remain positive when every trip to the grocery store results in a requirement for recovery time. Any advice on finding a family doctor that understands this issue? So sorry to hear you are also having problems finding safe medical care. I wish I could offer something helpful, but I have been in the Ottawa area for 2 1/2 years and have yet to find accessible health care here. There are a couple of AAEM affiliated doctors in the area, but their offices are not accessible (to me) and they don’t do house-calls. The new report “Recognition Inclusion and Equity -­‐the Time is Now: Perspectives of Ontarians Living With ES/MCS, ME/CFS and FM” that I link to above describes exactly the problems we face, and then some. There is additionally a proposal to remedy the situation (that I wrote about here previously http://lindasepp.wordpress.com/2013/09/20/ontario-centre-of-excellence-in-environmental-health-project/). Maybe you can get on the mailing list to support the proposal? In the meantime, if anyone knows of accessible and MCS/ES aware doctors in the Ottawa area who are still taking new patients, please share here. If for any reason you don’t want to share it publicly, mention it in the comment, and I won’t release the comment to the public. 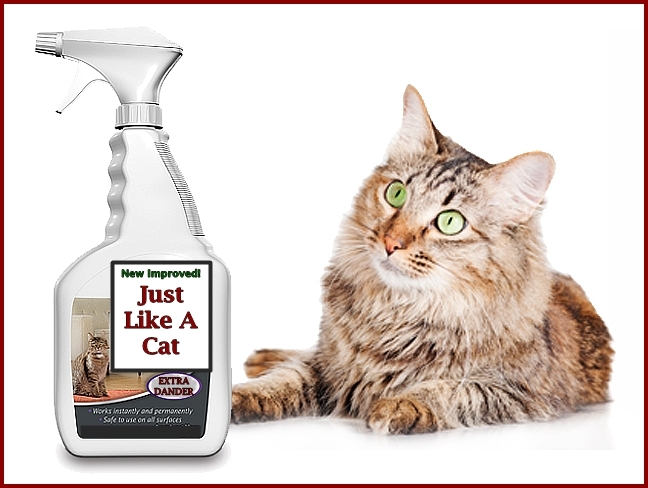 The pheromone in Feliway® is a synthetic copy of the familiarisation facial pheromone that cats use to mark objects in their environment. The actual concentration of pheromone in the air at any one time is tiny and as pheromones are species-specific, the feline pheromone in Feliway® will have no effect on humans. The Diffuser is ideal for multi-cat households, moving home, introducing new pets, redecorating, new furniture, settling into a new home, parties at home, for firework nights. 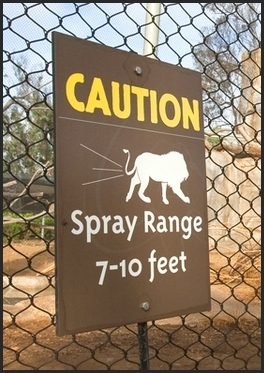 When to use Feliway Spray? 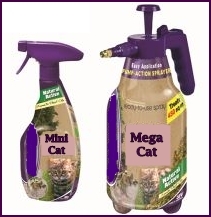 The spray is ideal for scratching, spraying, going to the vet and cattery. 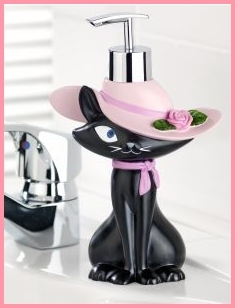 Or as support to the Feliway Diffuser, apply the Spray to your furniture, doorways, cat-flap, windows sills and to other prominent objects within your home. Or better yet, don’t use it! It’s another petro-chemical pollutant and accessibility barrier! Excellent analogy!! I’d been using chopped onions & smelly magic markers but to relate it to cats is smart and entertaining!